"A lot of people are disappointed in the Justice Department, including me." That was President Trump on Friday, stepping up his criticism of the DOJ by explicitly saying he wants investigations of his political rivals. Trump is not shy about his enemies list. It includes Hillary Clinton and several major news outlets, including CNN. That's why there are whispers in political and media circles that the president may be trying to interfere with AT&T's acquisition of Time Warner, especially now that the DOJ is reportedly considering a lawsuit to block the deal. Trump's repeated complaints about the Justice Department are also raising eyebrows. On Friday one of his staunchest critics within the GOP, Tennessee Senator Bob Corker, said in a statement, "Like me, most Americans hope that our justice system is independent and free of political interference." He said Trump's pressure on the DOJ is "totally inappropriate." CNN owns this web site. CNN is one of Time Warner's biggest channels. CNN's coverage is one of the president's biggest grievances. Keep all that in mind while I outline this story. 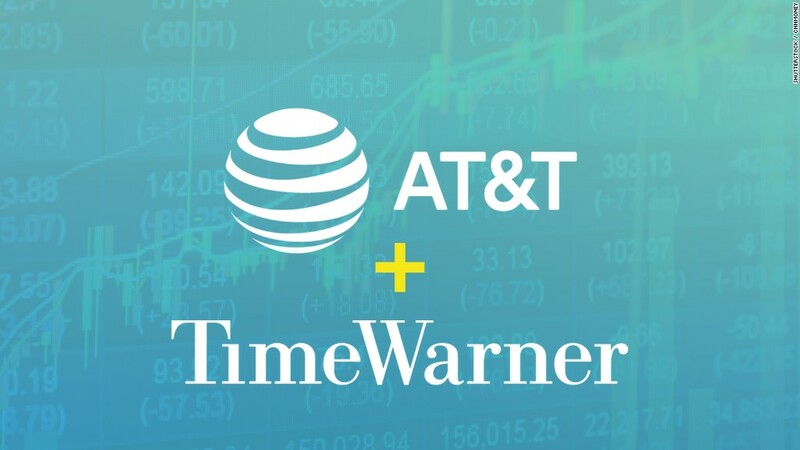 AT&T, one of the nation's biggest companies, agreed to buy Time Warner a little more than one year ago. The companies are now waiting for the Justice Department's antitrust division to complete a customary review of the deal. The process was slowed down because Trump's nominee to lead the division, Makan Delrahim, was held up in the Senate. Delrahim was confirmed in September and he is now involved in the review. According to my sources, executives at AT&T and Time Warner have been under the impression that DOJ approval was right around the corner. The companies have been negotiating what's known as a "consent decree" that would apply some predictable conditions to the deal. So a story reported by the Wall Street Journal on Thursday was an unwelcome surprise. It said the two sides are not close to an agreement on a consent decree, and that the DOJ is "actively considering" going to court to block the deal. Wall Street analysts and media industry observers were caught off guard too. Time Warner stock slipped more than 3% on Thursday and another 1.5% on Friday. One explanation is that the DOJ's antitrust lawyers are playing hardball with AT&T, and the two sides will eventually agree on terms. But there's a more nefarious theory -- one that involves Trump. As a candidate, Trump publicly vowed to block the merger. As president, he constantly criticizes CNN on Twitter and in public appearances. Over the summer The New York Times reported that Trump aides discussed using the pending deal as a powerful form of leverage over CNN. Is that what's going on here? Is the Trump administration trying to stymie the deal in retaliation for CNN's coverage? Maybe this sounds far-fetched. But it's worth asking. "You have to wonder" about the behind-the-scenes machinations "given that Trump has a vendetta against CNN and has openly talked about using these types of deals to punish them," said Trevor Timm, the executive director of the Freedom of the Press Foundation. Consider the timeline. CNN broke the news last Friday about impending charges by Robert Mueller's team. The cable news network aggressively covered the indictments of Paul Manafort and Rich Gates on Monday morning. According to accounts from multiple news outlets, Trump was in his living quarters all morning long, watching TV coverage of the indictments and lashing out on Twitter. He was reportedly "seething." Then he went to lunch with Attorney General Jeff Sessions, who oversees the Justice Department, including the antitrust division. The Journal's story came out on Thursday morning and caused shockwaves. It's clear from the president's public comments that he has been frustrated with the DOJ. On Thursday evening, he made the first in a series of controversial comments. During an interview on Larry O'Connor's radio show, Trump was asked about why the Justice Department hasn't prosecuted Clinton, and he said this: "I'm not supposed to be involved in the Justice Department. I am not supposed to be involved with the FBI. I'm not supposed to be doing the kinds of things I would LOVE to be doing, and I'm very frustrated by it." He kept it up on Friday morning, telling reporters that "I am really not involved," but "they should be looking at the Democrats," and "a lot of people are disappointed in the Justice Department, including me." The president's up-and-down relationship with Sessions has been the subject of extensive media coverage. On occasion, Sessions has held public events that seemed tailored to Trump, including an announcement about a crackdown on leaks. Whether Trump has asked about AT&T or not, Sessions may stand to benefit from headlines about the DOJ taking a tough line on the deal. "U.S. Considers Suit Against AT&T's Deal for Time Warner" was on the front page of Friday's Journal, which is owned by Rupert Murdoch, an ally of President Trump. The two men speak frequently. Another Murdoch-controlled outlet, Fox Business Network, picked up on the Journal story on Thursday and speculated that the government's scrutiny could prompt AT&T to spin off CNN. Bloomberg followed up on Friday and emphasized Delrahim's role in the review. "Delrahim may explore asset sales to address competitive harm," Bloomberg said, citing a person familiar with the matter. AT&T has repeatedly said it does not intend to spin off CNN. There has also been speculation that Trump wants AT&T to replace Jeff Zucker, the president of CNN. Vanity Fair recently wrote about this subject. "No matter where you come down on this merger, everyone should agree that the government shouldn't be basing its antitrust or FCC rulings based on whether or not it likes a newsroom's coverage," Craig Aaron, the president of the public interest group Free Press, told CNN. Aaron's group opposes the acquisition and wants the DOJ to reject it -- but on antitrust grounds, not to appease a president. "While there are lots of good reasons to oppose the AT&T-Time Warner merger, one of them isn't punishing CNN for trying to hold this administration accountable," Aaron said. AT&T says the deal is pro-competition and does not pose antitrust risks. "For over 40 years, vertical mergers like this one have always been approved because they benefit consumers without removing any competitors from the market," the company said on Thursday. AT&T had no further comment on Friday about the Trump angle. But some Democrats have been raising alarms for a while now. Senator Amy Klobuchar, the ranking Democrat on the Senate Judiciary Committee, sent a letter to Sessions in July asking for any evidence that Trump was interfering with "antitrust enforcement decisions." Klobuchar asked: "Has any employee of the White House or adviser to the President (either official or unofficial) had any contact with any Department of Justice employee regarding the AT&T/Time Warner transaction?" Last month, I asked Klobuchar if she ever received a reply. "No, we have not heard," she said. Klobuchar said there is a "long tradition" of the Justice Department making legal decisions "based on the facts of a case and not based on outside meddling or any kind of a political decision."